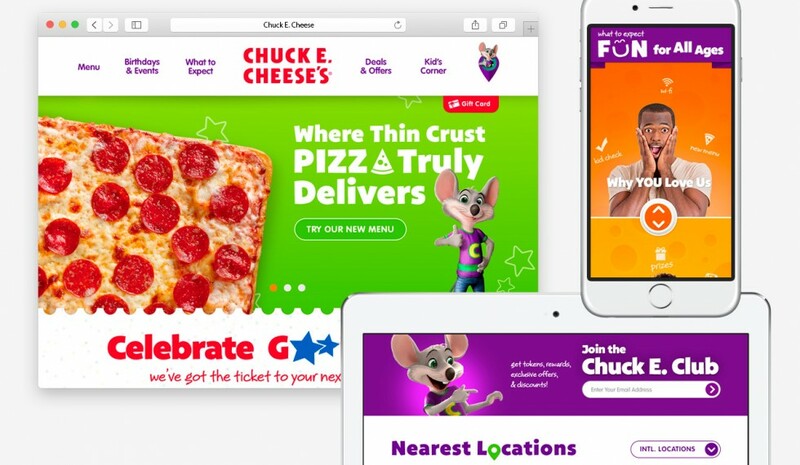 Chuck E. Cheese’s is a chain of American family entertainment centers and restaurants. 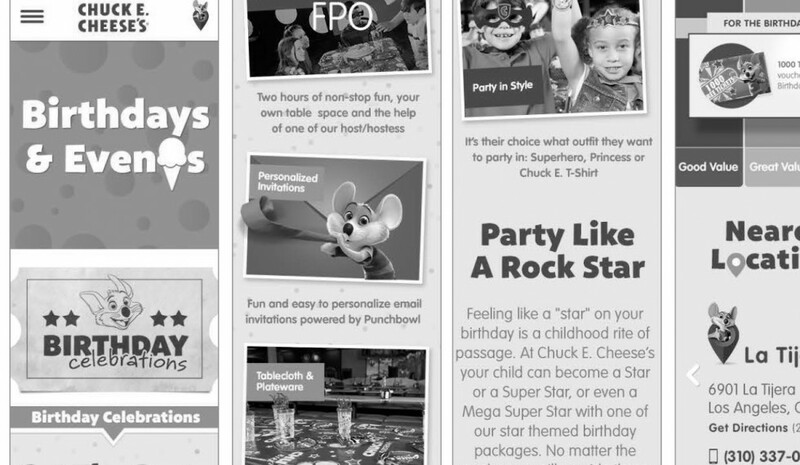 CEC is the first family restaurant to integrate food, animated entertainment, and an indoor arcade. 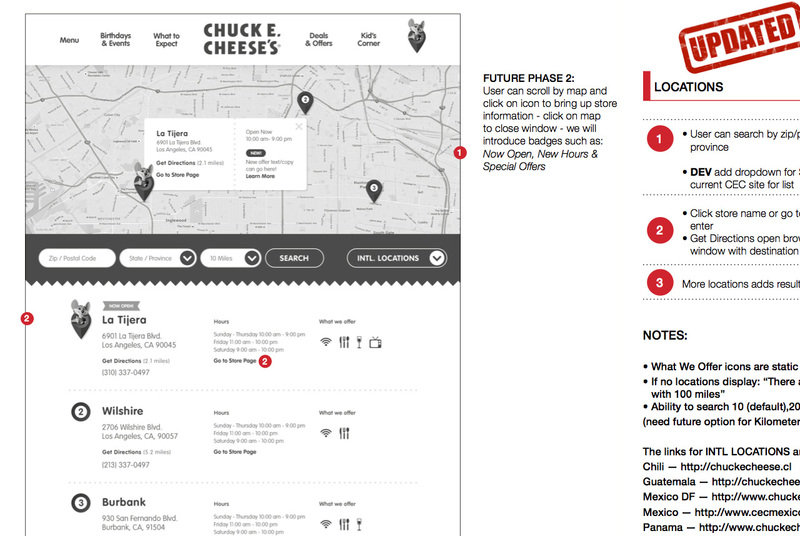 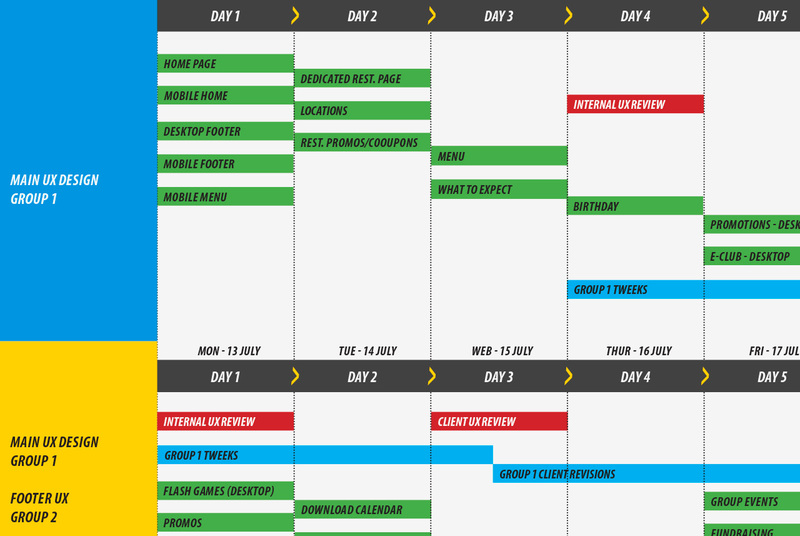 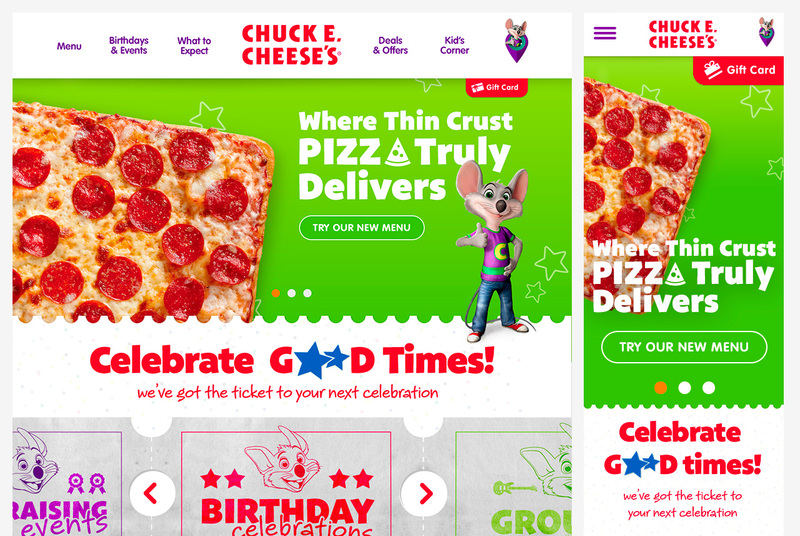 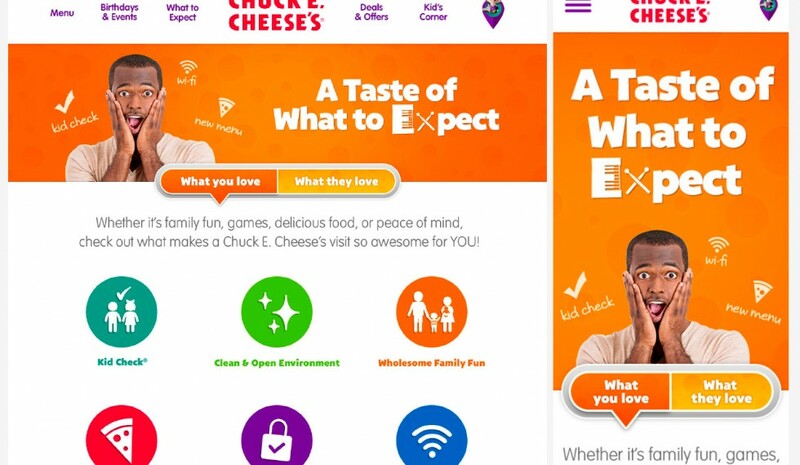 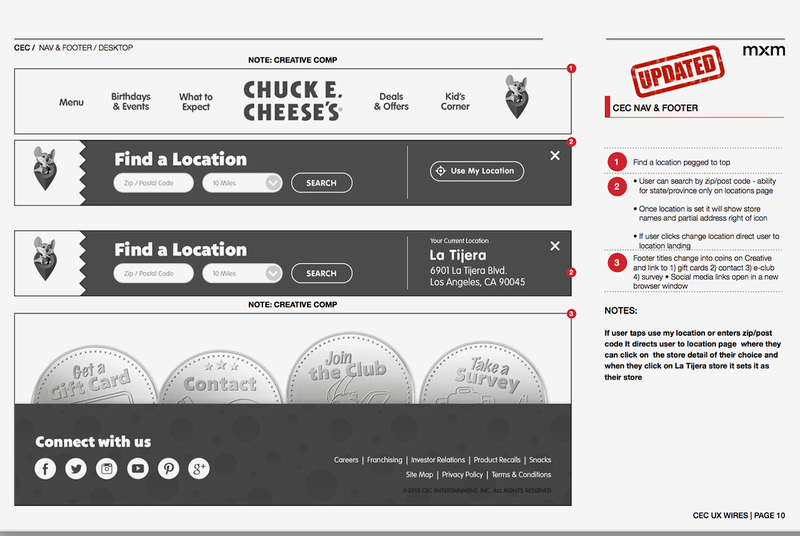 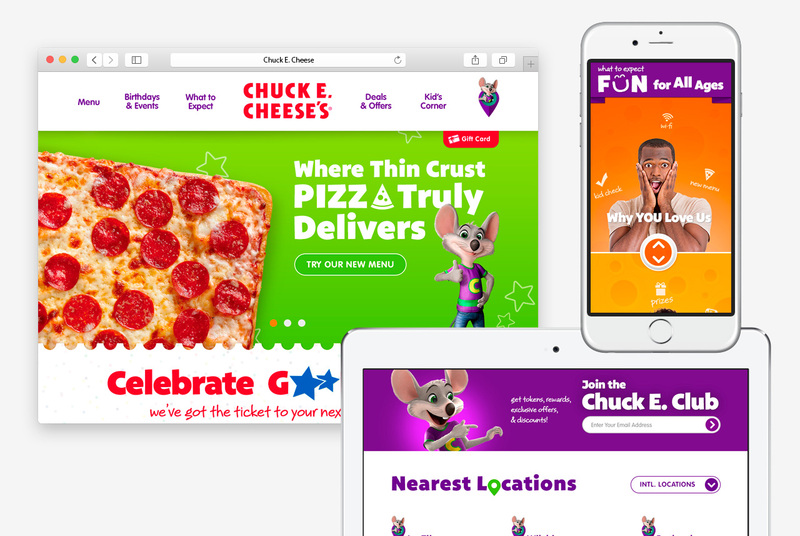 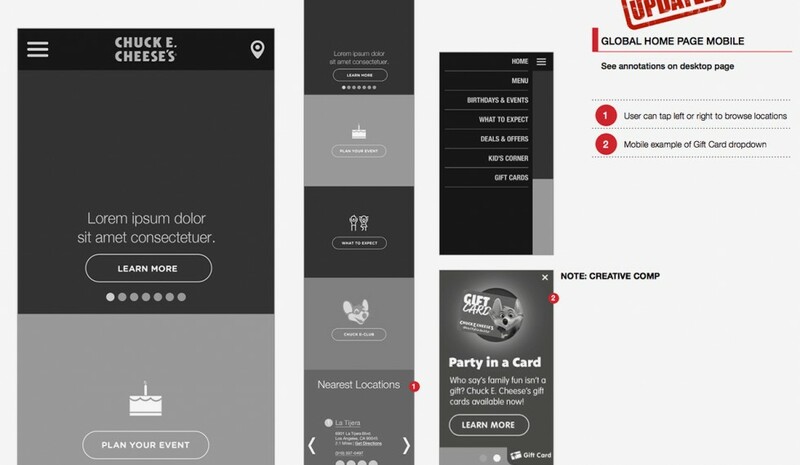 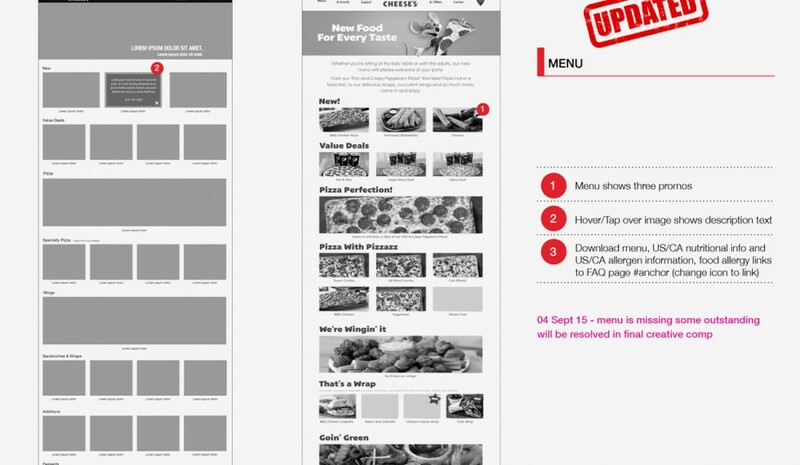 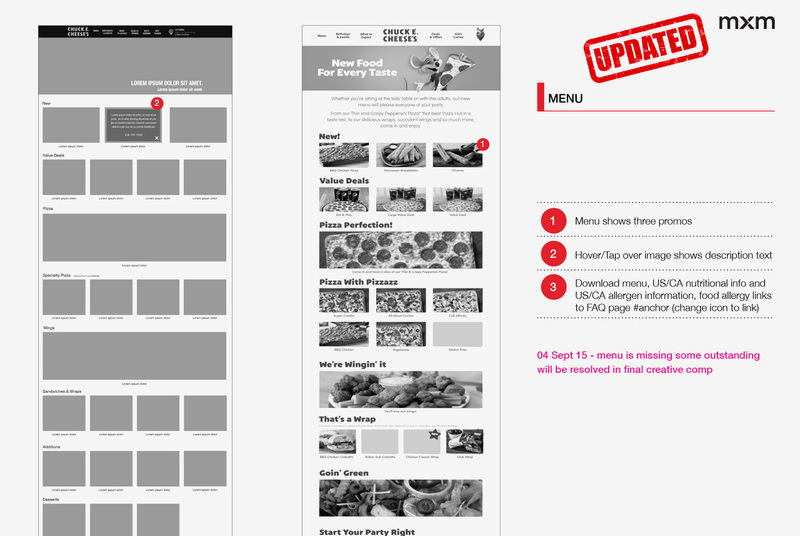 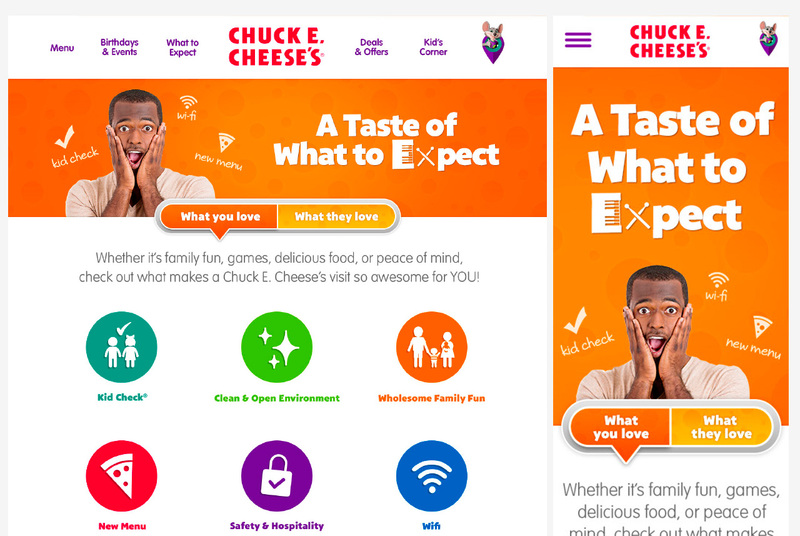 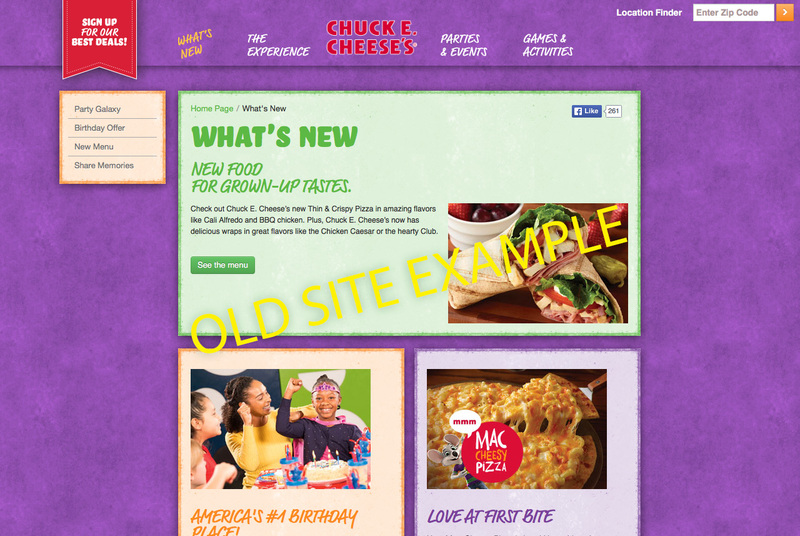 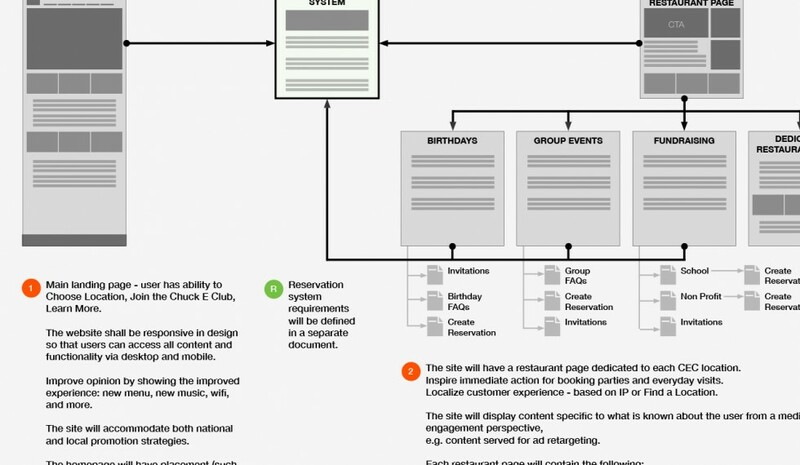 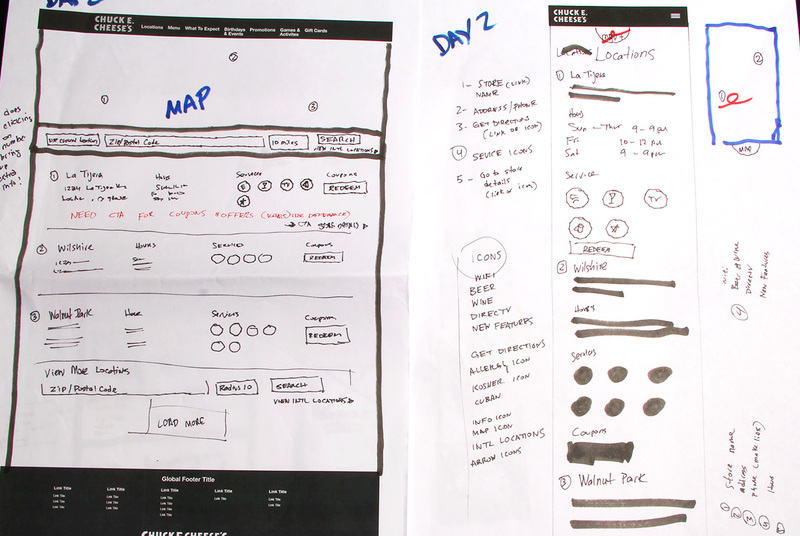 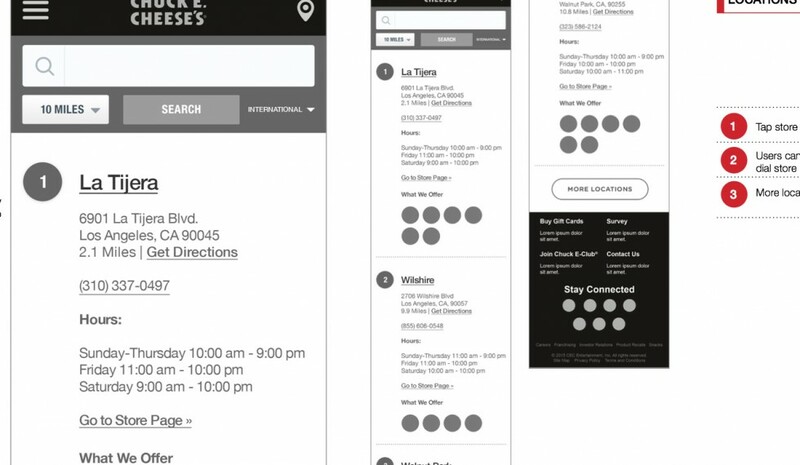 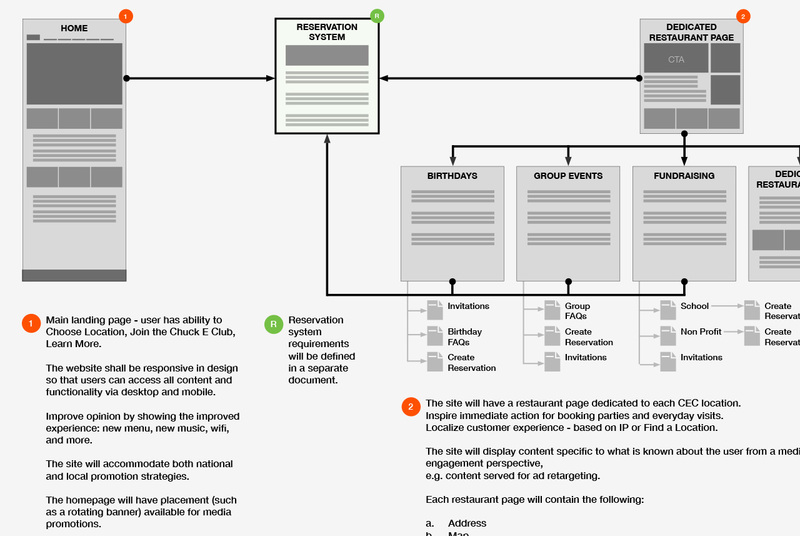 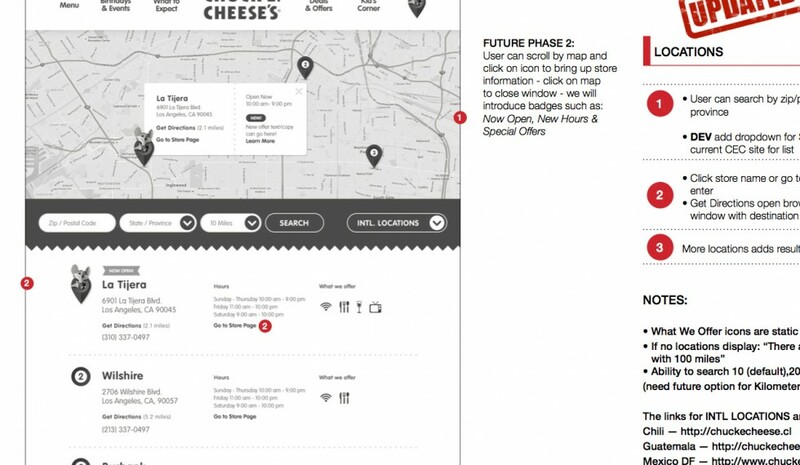 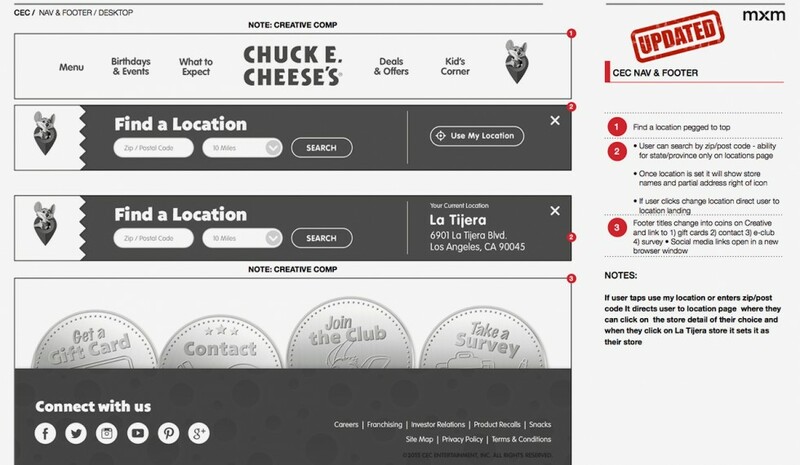 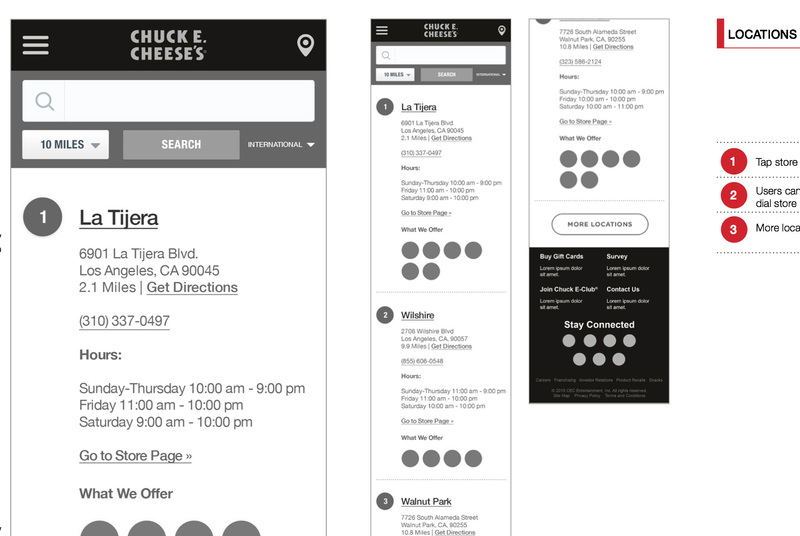 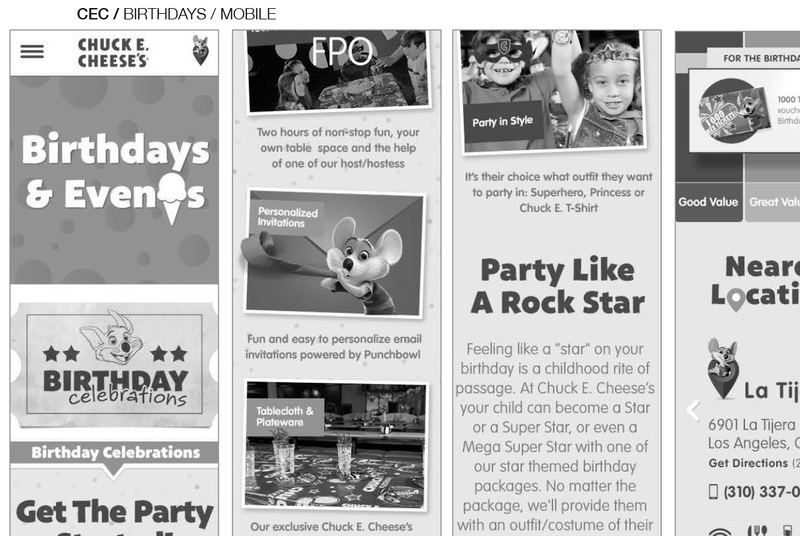 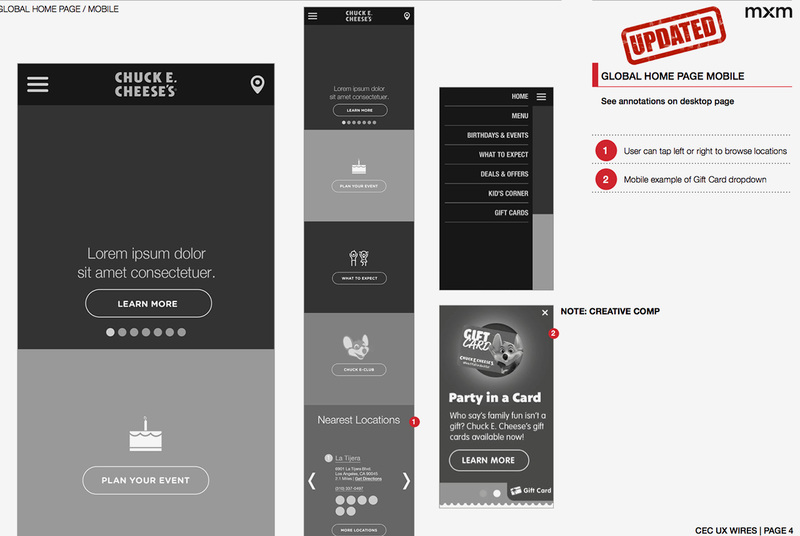 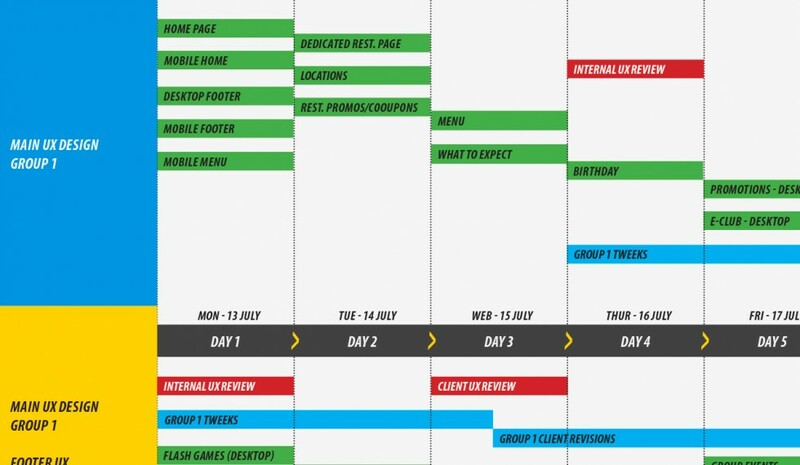 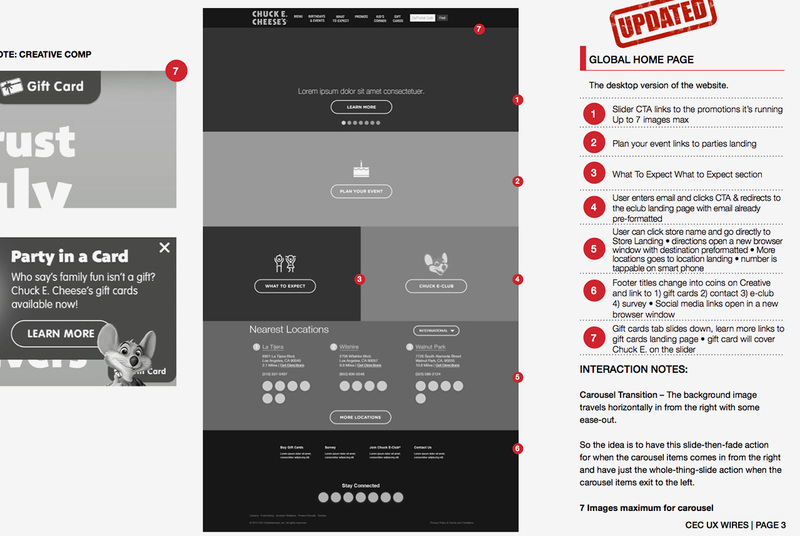 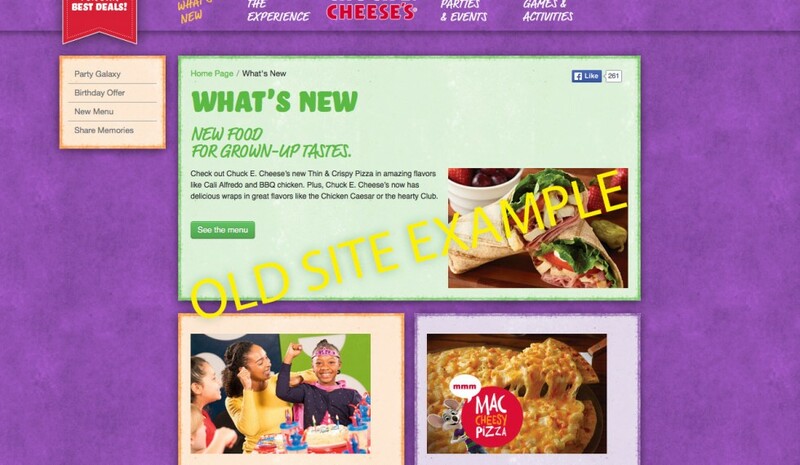 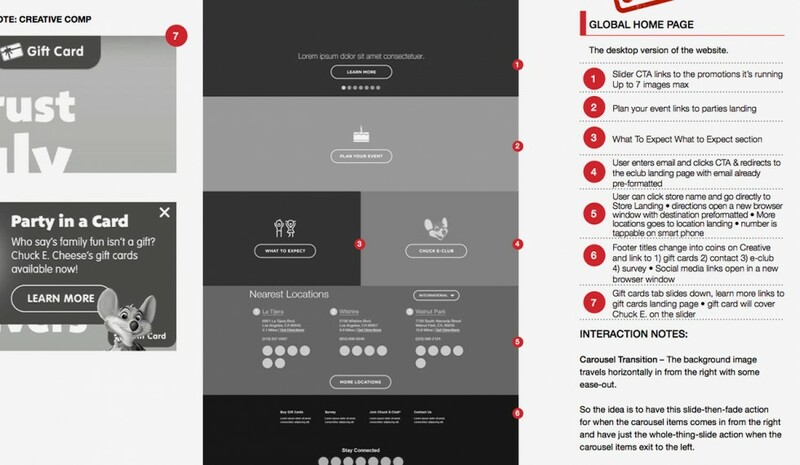 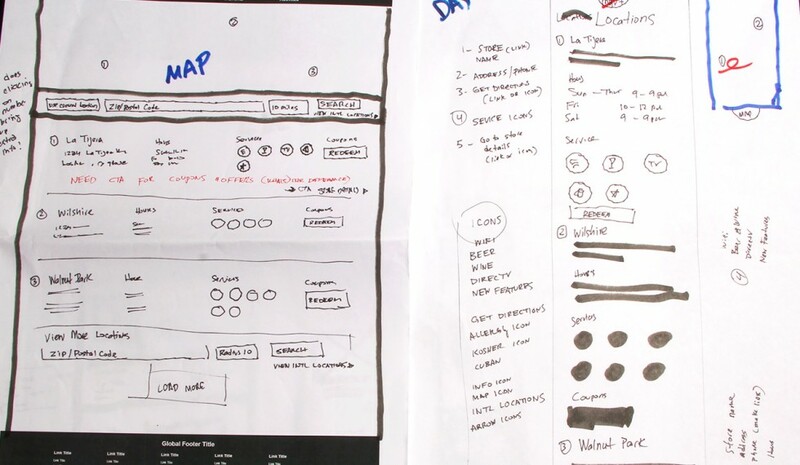 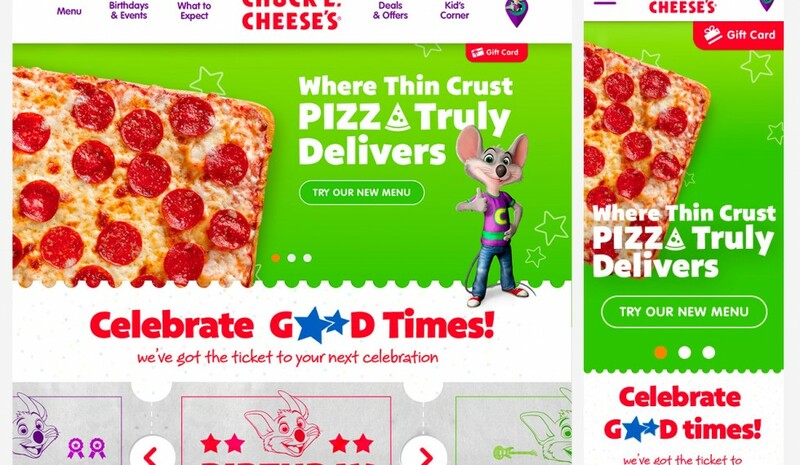 Redesign of existing Chuck E. Cheese Site.